Summary: Ready for a fresh start, Allison Parker moves back to her hometown in the suburbs of New York. While she’d once savored the dynamic pace of city life, sadly, it lost its allure after her husband’s untimely death. Now, ready to focus on her art career accompanied by her ten-year-old son, Logan, Allison doesn’t anticipate that her past will resurface. When the wife of her husband’s best friend from summer camp takes her under her wing, things begin to spin out of control. At one time, Charlotte Crane thought she had it all—a devoted husband, a beautiful little girl, and enough financial security to never have to worry. But behind her “perfect” facade lie a strained marriage and a fractured relationship with her sister. When “new girl” Allison arrives in Wincourt, Charlotte welcomes the chance to build a friendship. Before long, Charlotte begins to see her life through Allison’s eyes, and the cracks in her seemingly flawless existence become impossible to ignore. 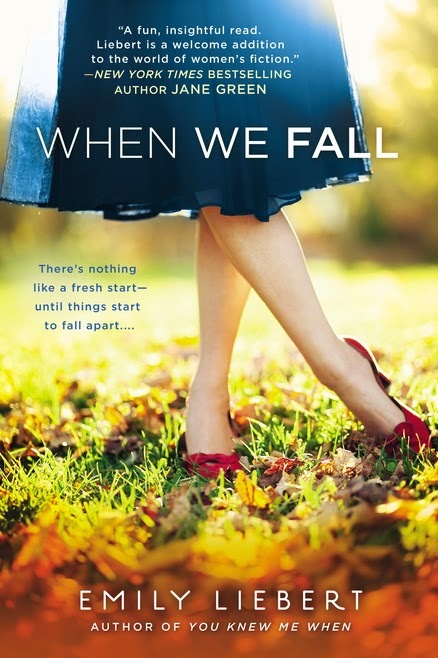 Yesterday, I reviewed the novel WHEN WE FALL by Emily Liebert. I really enjoyed this story about two very different women and the relationships in their lives. I'm happy to say that I have two copies of WHEN WE FALL to share with two lucky Booking Mama readers. To enter, just fill out the form below before Thursday, September 19th at 11:59 p.m. EST. I will randomly select and notify the winners the following day. This contest is open to those of you with U.S. addresses only. Good luck! This one is on my TBR! Thanks for the chance to win it!